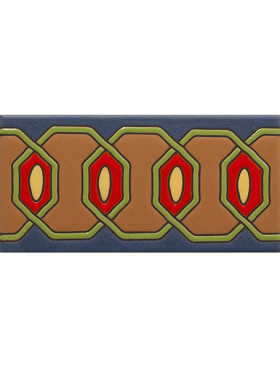 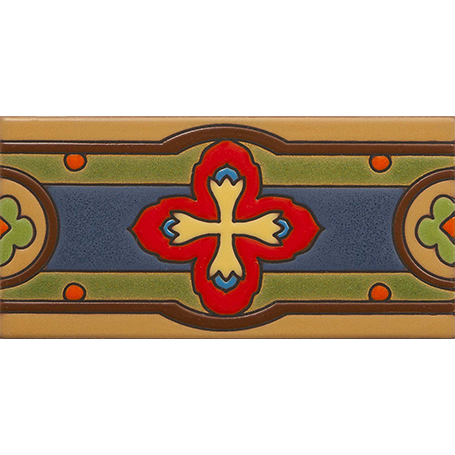 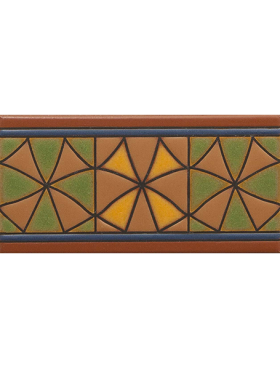 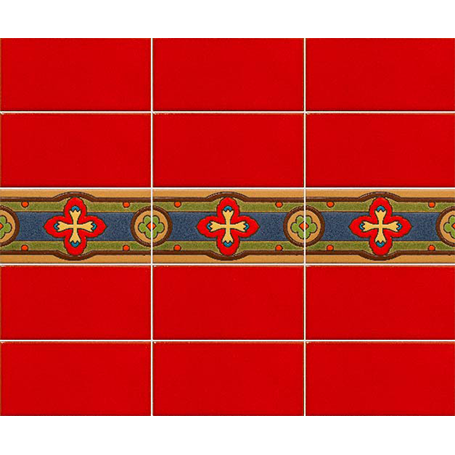 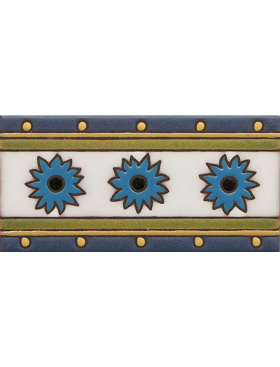 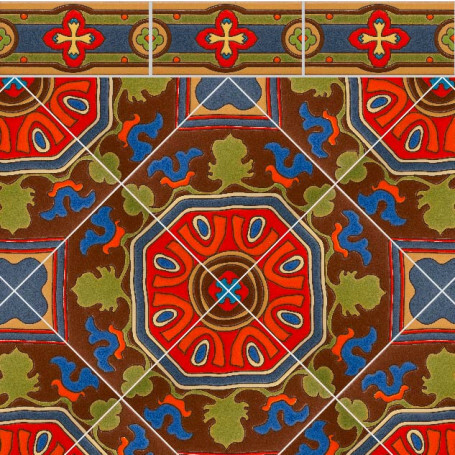 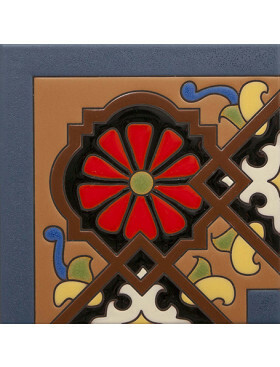 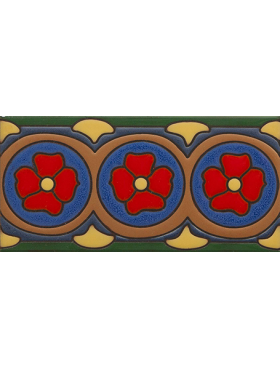 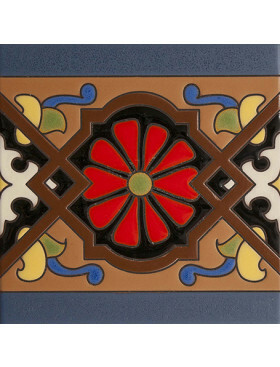 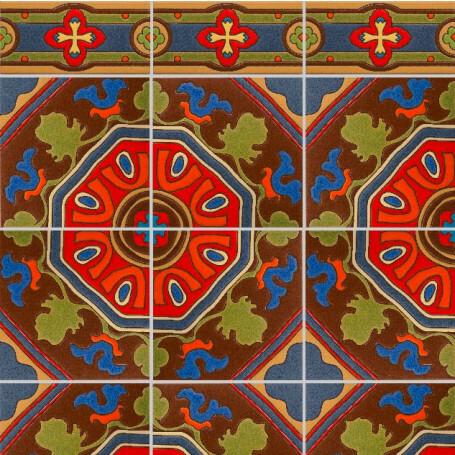 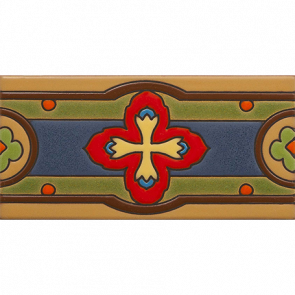 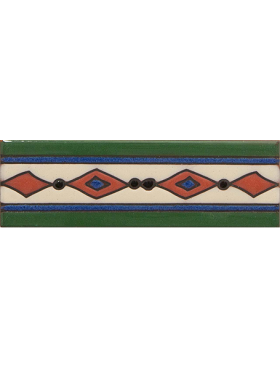 California Revival Dante Border 4" x 8"
Dante Border is sharp and crisp and is stunning with the red and Night Blue field tiles and works with the Pilar deco. 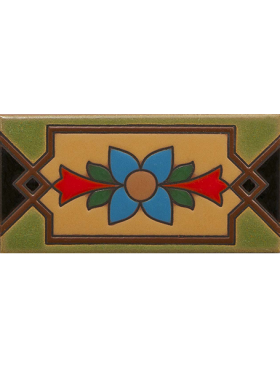 We love all the California Revival borders around natural wood or wood recreation floors. 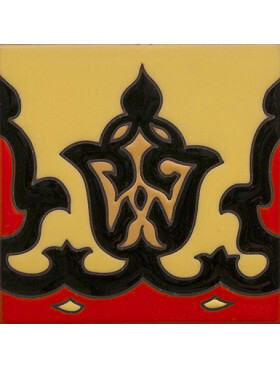 Tiles are sold by the piece. 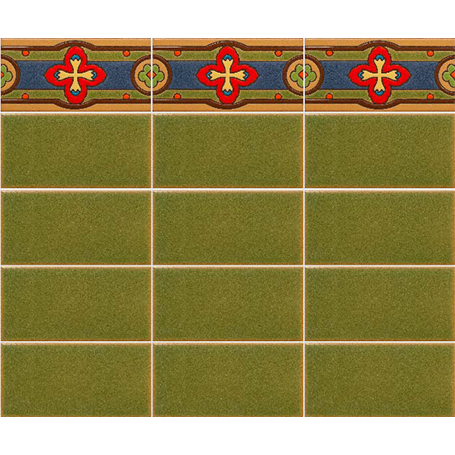 Each piece is .67 linear feet. 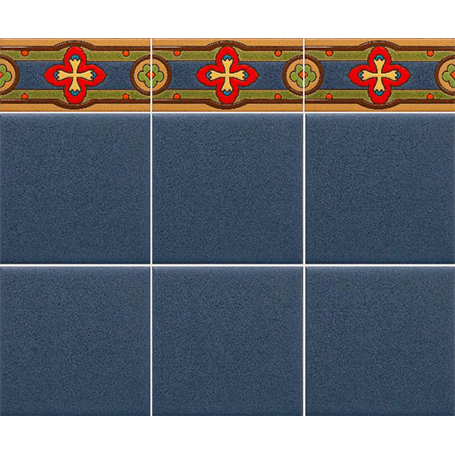 Order 1.5 tiles for each linear foot needed.